P420 is pleased to announce the exhibition foreign bodies, a double solo show by the artists John Coplans (London 1920 - New York 2003) and June Crespo (Pamplona, 1982) curated by João Laia. 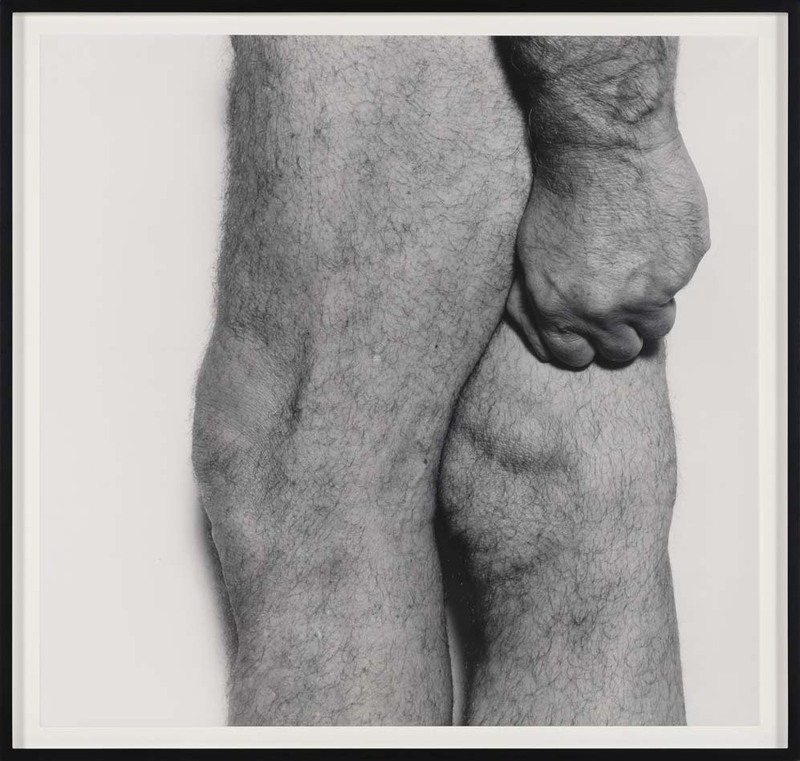 Coplans and Crespo, respectively through photography and sculpture, have conducted research with a particular focus on the relationship between the body and its representation. The starting point is a shape that can be traced back to the body, but the investigation leads in different directions, constructing forms that allude to other things as well. Aiming the camera only towards himself, John Coplans questioned popular culture's crystallized take on the male body and its connection to classical sculpture, producing humanist counter-monuments that underscore ideas of decay and vulnerability. The selected photographs display a number of interventions in which the body is cut and reconfigured into details and partial views, a gesture that echoes the ongoing fragmentation of bodies and matter in the digital realm of the web. June Crespo's practice is also a sensual analysis of contemporary models of representation, commenting on the actual and symbolical dynamics enveloping the female body (visible for example in the incorporation of magazines catering to a female audience in her sculptural sets). 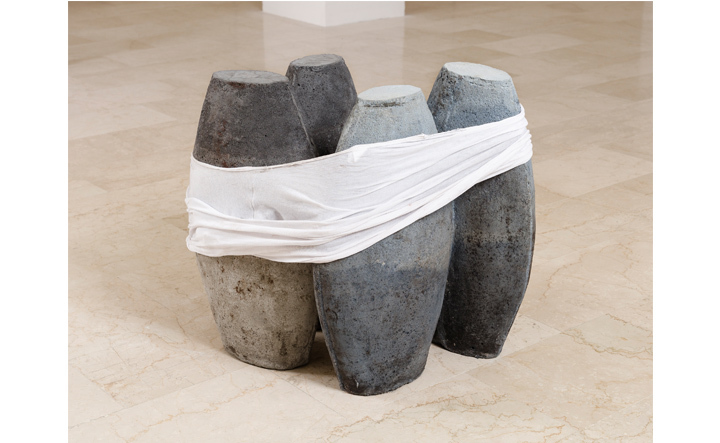 Crespo’s interest in the concrete and corporeal conditions of the object/body, as well as in the immaterial contexts where it circulates and shifts – as seen in her recurring interest in figures such as conductors and vessels – can be connected to Coplans' practice as a photographer and writer: both question contemporary life's composite configuration made out of material and discursive dynamics. In a moment in which visual culture is dominated by stylized and hyperperfect portraits, the works of Coplans and Crespo challenge homogenous approaches to the corporeal, proposing dissident images that liberate our gaze and our bodies themselves. In addition to his practice as an artist, JOHN COPLANS had a prolific career as an art critic and curator. He immigrated to the United States in 1960 and began teaching at the University of California, Berkeley. In 1962 he became one of the founding editors of the magazine Artforum and was affiliated with the publication for 16 years. He was senior curator of the Pasadena Art Museum in 1967-1970 and director of the Akron Art Museum from 1978 to 1980. Coplans wrote numerous books and articles on art, and at the age of 60 he began to take black-and-white photographs only of his own naked body. 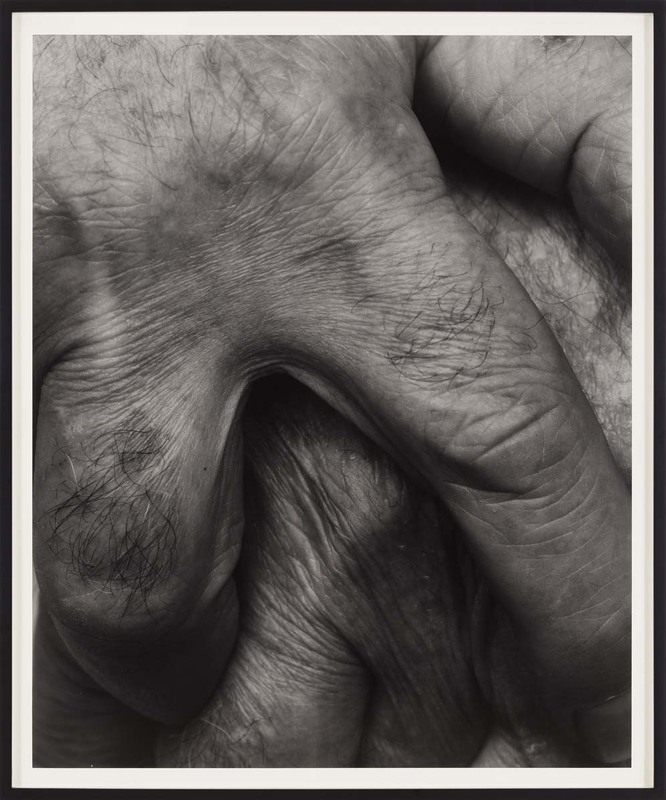 While his oeuvre is composed only of self-portraits, he never included his face in his images. His work has achieved widespread acclaim, and his photographs have been exhibited and acquired by leading museums in Europe and the United States. JUNE CRESPO obtained her BFA from the Universidad del País Vasco, and recently completed a residency at De Ateliers (Amsterdam). Selected solo shows include To be two (CarrerasMugica, Bilbao 2017); Chance Album Nº1 (etHALL, Barcelona, 2016); Kanala (MARCO, Vigo 2016) and Cosa y tú (CarrerasMugica, Bilbao, 2015). Her work has also been shown in group shows such as: Deep State (De Ateliers, Amsterdam 2017) Generación2017 (La Casa Encendida, Madrid 2017); HYPERCONNECTED (Moscow Museum of Modern Art 2016); fluxesfeverfuturesfiction (Azkuna Zentroa, Bilbao 2016); Wild Things (The Green Parrot, Barcelona 2014); Hitting it off (P-exclamation, New York, 2014); Pop Politics (CA2M, Madrid 2012); Antes que todo (CA2M, Madrid, 2010).